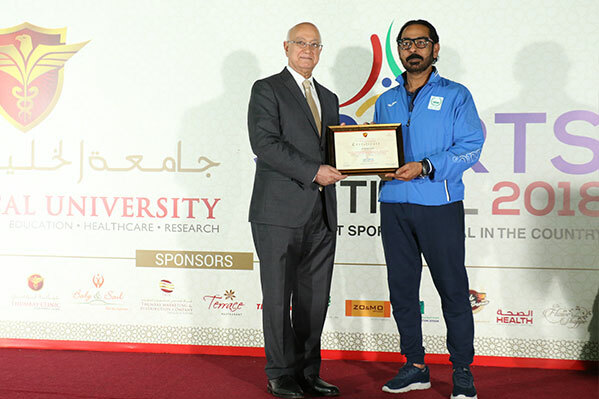 The 17th Annual Sports Festival of Gulf Medical University –Ajman, considered the largest inter-university sports festival in the region, ended with a colorful closing ceremony held at the University campus on 1st March 2018. 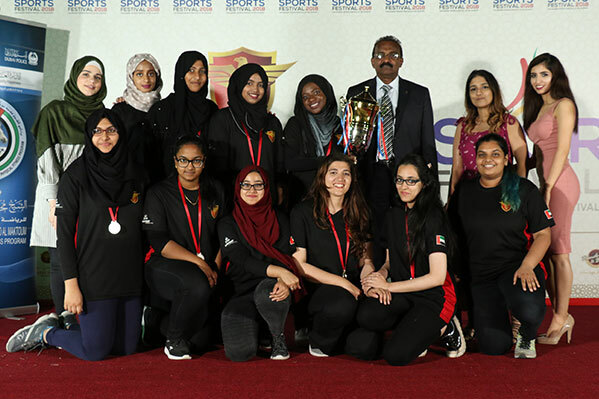 Held over 6 days starting 24th February, the event brought together sportsmen and sportswomen from around 24 colleges and universities who competed in 226 events across 10 categories. 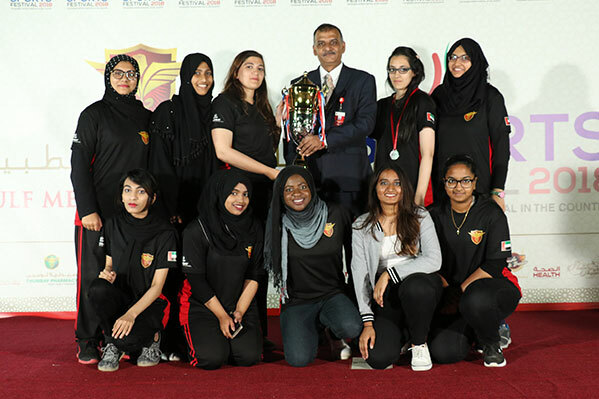 The closing ceremony of the Annual Sports Festival 2018 held at the GMU campus in Ajman was inaugurated by the chief guest of the event, the Chancellor of GMU – Prof. Hossam Hamdy, in the presence of the Vice-Provost, the Deans of the colleges of GMU, the sports directors, officials and students from the participating institutions as well as GMU students. More than 40 trophies for the winners were awarded by the chief guest. All the participants were awarded certificates of participation. 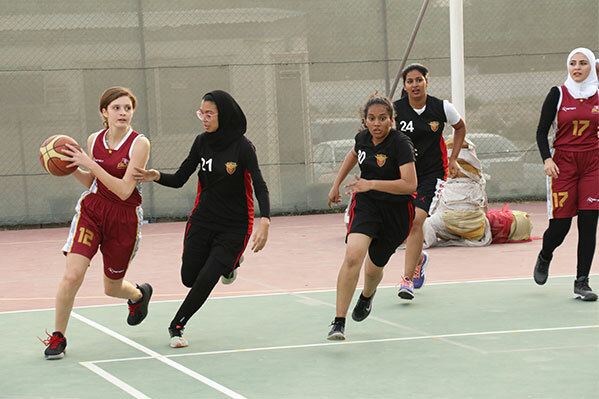 This year’s event had competitions in football, cricket, basketball, volleyball, table tennis, tennis, badminton, throw ball, squash and swimming. The grand sports festival is held each year keeping in view the philosophy of GMU “Healthy Body for a Healthy Mind” and to instill the spirit of sportsmanship and healthy competition among the students, according to Dr. Joshua Ashok, Dean – Student Affairs, who is also Chairman-Sports Committee of GMU. He thanked Dr. Thumbay Moideen, Founder, President Board of Governors of GMU for his constant support to the annual sports festival. 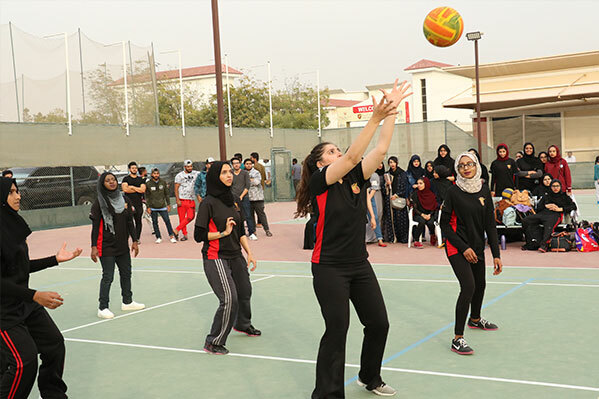 “The Annual Sports Festival of GMU is getting bigger and better with each passing year. We thank the participating institutions for making this a hugely popular and successful event,” he said. The festival was hosted and organized by Body & Soul Health Club and Spa, the award-winning network of health clubs operated by the Hospitality Division of Thumbay Group. The closing ceremony was followed by a banquet dinner.